Eric Syre, a musician from French Canada, is best known perhaps for his work with TheSyre or Pohjast. However, he lives a double life. 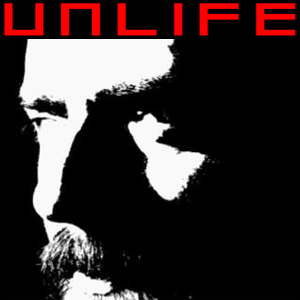 He is also an industrial/ambient musician recording under the name Unlife. Unlife comes in two flavors. The first is a more Ministry-influenced version, while the second is almost pure Beherit Electric Doom Synthesis worship. For this reviewer, the first was actually the more intense because it is near completion as a unity of aesthetic and content. The newer material struggles with a bit of self-definition and because of this loss of familiarity, is more awkward but nonetheless compelling. Ossuary (2005) uses guitars and vocals in a more traditional industrial-metal hybrid atmosphere and shows an influence not only of Ministry, but the generation before (Killing Joke) and lighter influence from the generation after (Godflesh). Songs emphasize heavy, mechanical beats over which Syre loosens up his pipes to give a melodic underpinning to what is otherwise purely “industrial” in the old sense, meaning it sounds like a cross between a factory and a war set to post-punk music. Unlife (2007) on the other hand is all electronic. There is no attempt to fit songs into a traditional rock framework or imitation of its instrumentation, and cut free, the music experiments a great deal more with song form and texture. Clearly the largest influence here is Electric Doom Synthesis, which also gets alluded to if not outright quoted in a few of the songs, but this is in loving tribute and not some attempt to ride coattails. This longer work seems too simple at first, but suspends belief over time, and introduces a ritual trance mindset in the listener. It’s our hope here at DeathMetal.org that Mr. Syre continues to develop these projects or at least the direction he was pursuing with both of these releases. His work on Ossuary more captures the power of his singing and sense of dynamics than TheSyre was able to, and Unlife shows us the potential of his composition as a viral stream of ideas alone. Eric Syre lives underground metal. He has been active for many years and is highly regarded. An insatiable artist, he expands into different media, fields and instrumental abilities as it suits him. And now, he has a new band called Beast Within. The biography roughly describes this band, but a better summary is this: if you can imagine newer Celtic Frost/Triptykon covering older Celtic Frost with a doom/stoner metal groove, you can imagine where Beast Within are going. You have a unique lyrical concept with Beast Within that’s about the self escaping society. Can you tell me more? We are still developing the whole concept as we haven’t completed the lyrics for all the songs we have written. There’s definitely a Nietzschean, Satanist, occult and nihilistic thread in what we’re writing, especially in the two songs we already released. We stand for the emanation of the true “Self”, buried deep inside each man and woman by centuries of decadence, slavery and blindness imposed by a false moral, political and religious elite (not the “self” individualistic values praised by our contemporary consumerist society). You’re a well-known figure in the black metal underground. Can you give us a brief biography of yourself and the band? I’ve been actively involved in the whole Metal scene for the last 20 years. I started playing in bands in 1992. Thesyre has been my longest running band (1995). I’ve also been the lead vocalist/lyricist in Decayed Remains, bassist in Soulseasons, actual live drummer with Akitsa and I am now the lead vocalist in Beast Within. I also had a myriad of projects including Unlife, Golem, Supernova and did a few recordings on my own as Eric Syre. I am also doing freelance artwork for other bands. The other musicians of Beast Within followed a path similar to mine. 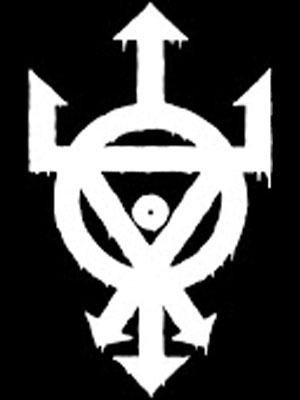 Past bands and projects includes (among others) Utlagr, Blackwind and The Vault. I guess you can say we’re semi-veterans of the scene. How would you describe the musical direction of this new entity? We’ve all been raised on the classics of the 80s and Celtic Frost is a common ground for all of us. It was important for us to keep things minimal and oldschool. We’re not trying to reinvent the wheel but it’s very important to have our own sound. The groove you refer to has a lot to do with the simplicity of the music and its underlying rock vibe. We’re aiming for something heavy, dark, groovy and catchy at the same time. Do you think that being from a French-culture area of Canada has influenced your songwriting or outlook? Being French-Canadians always had an influence on us, willingly or not. We’re isolated in the eastern part of Canada and to be honest, it’s almost like we’re living in a different country. We never had the same cultural reaction to the lyrics of the bands we listened to in the early years. We always had to translate, filter and in some ways interpret everything in order to understand what was expressed. I guess we probably got a lot more into it for this reason; It required some form of personal involvement which maybe wasn’t as mandatory for English-speaking fans, for example. The same could be said about the lyrics we wrote. Even if it’s important for us to stay true to our culture, it’s hard to get recognized with lyrics in French worldwide. The whole isolation factor also pushed the pioneers of our scene to have an original sound and a different approach. Voivod got noticed quite early for that very reason, I think. The Quebec scene never got over-saturated with bands and so far I can still claim that quality over quantity is a constant over here. You mention that you derive influences from Celtic Frost and Pentagram. Why these two? I bet you will. Look for this band to shake up the complacent post-underground scene.